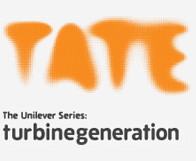 The Unilever Series: turbinegeneration is a project about international collaboration. It connects schools, galleries, artists and cultural organisations worldwide and is linked to the annual commission that invites an artist to make a work of art for Tate Modern’s Turbine Hall. The Turbine Generation gallery presents its exhibition exploring how young, emerging and established students, artists and galleries across the world responded to its annual theme.